Of course I said yes. Some of you may know that I went to school with Chloe and Charlie, with Chloe being one of my best friends I am just GUSHING WITH PRIDE at their cute little company. Their products are lovingly handmade, often hand drawn or painted. I am so proud of them and way too excited to be a part of their #BigBoxOfLame campaign launch! EW I hate the word gushing, but oozing would be gross too. The #BigBoxOfLame is a new offering on their website this August. It includes a number of their fabulous products, randomly selected for an overall reduced price of £11.50! 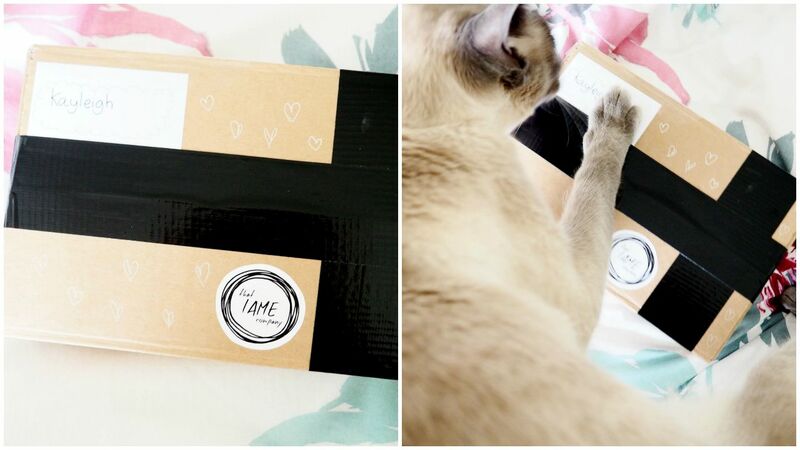 I think these boxes would make a ‘lovely monthly subscription box style’ and I think this is what they aim to do! You can currently NOW preorder the August Box, to be sent out to you on the 27th of August! 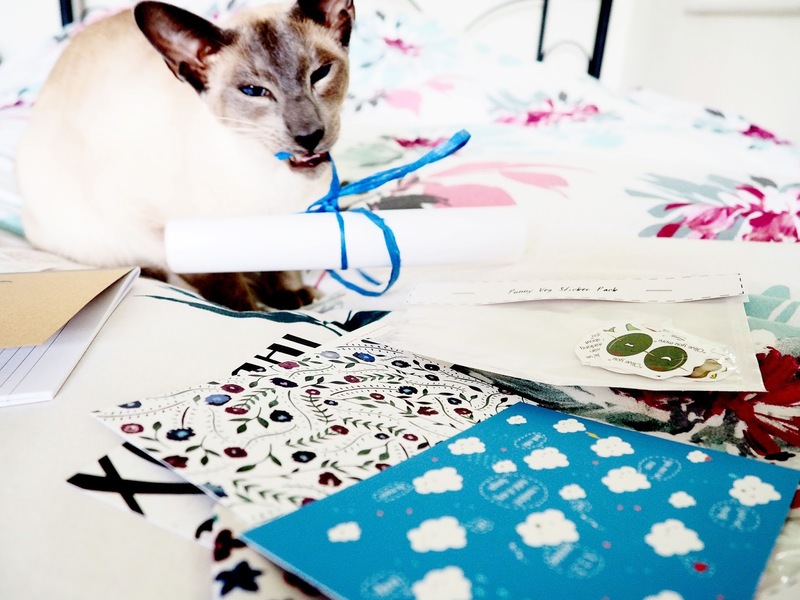 Plus two lovely little extra items from the Lazy Pencil Company and Kitty’s Kitschenette! Such a bargain! 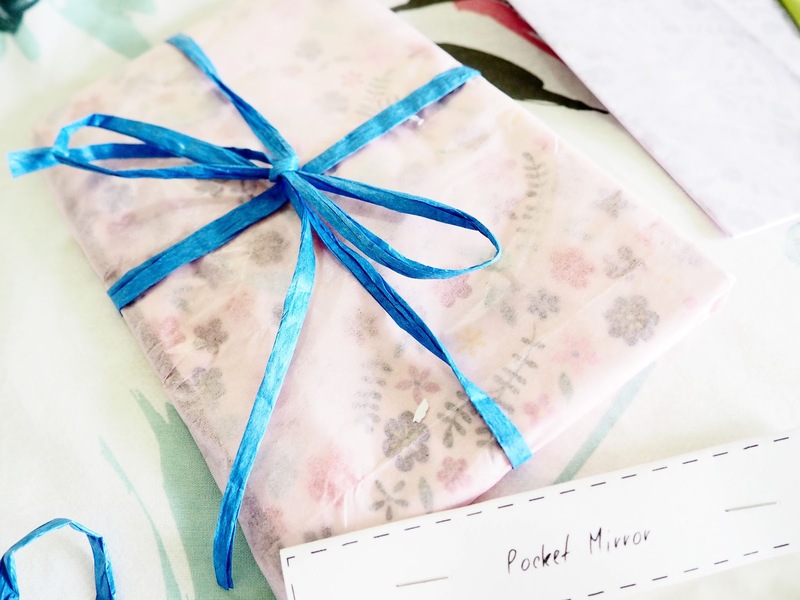 Everything was either wonderfully packaged or wrapped with cute tissue paper and bows! I think this is down to the tissue paper QUEEN Chlo, but correct me if I am wrong Charlie!! Any how, it is a nice handmade touch and is just lovely! Now, I think these are the two products that are going to be the HITS in the blogging world, because they are amazing. I love the stickers because they are just SO TRUE. 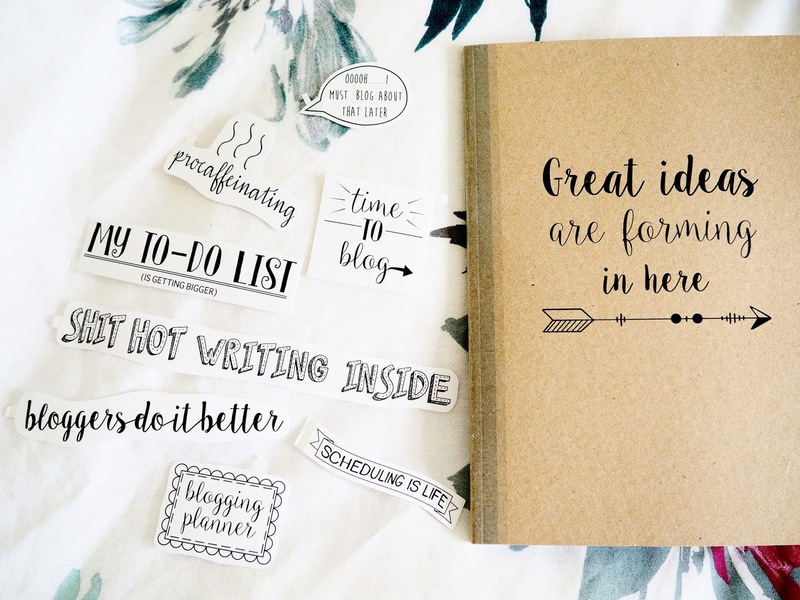 Particularly “Oooh I must blog about that later” and “Scheduling is Life’ and “My To Do List is Getting Bigger” and “Bloggers Do It Better” because let’s face it… they do. (Pretty much all of them then) Plus.. BLOGGERS LOVE STICKERS. The notebook is super cute, I love the typography used, PLUS I like to think that some super amazing ideas are forming in my notebook… but the likelihood is that it will probably contain pages and pages of doodles when I am procrastinating! I mentioned in my previous post If I Was A Fresher Again that I love to cover my UGLY University bedrooms plain walls in either photographs or prints. These ones are PERFECT for this, they are so pretty, but then again I love anything with a flower on, which is why I love Oasis SO MUCH, all the pretty florals! 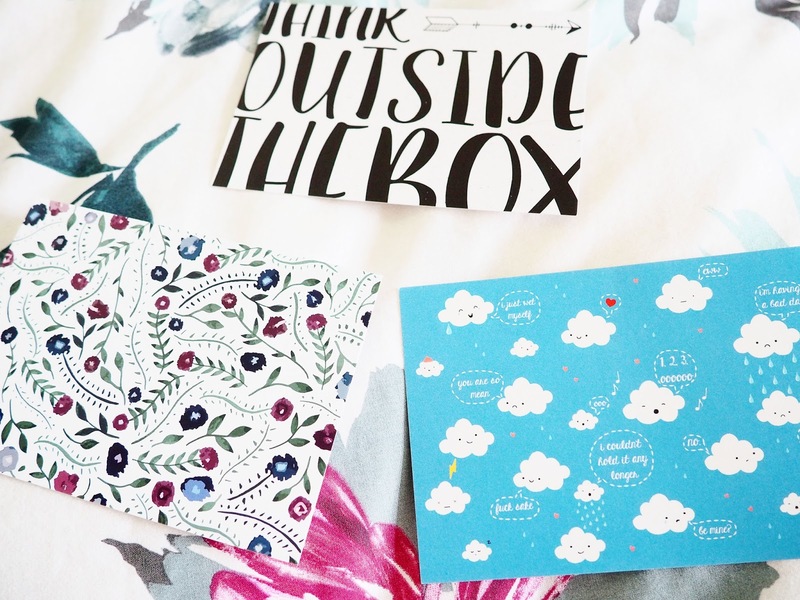 The Lazy Pencil Company Happy Cloud print is also super cute. 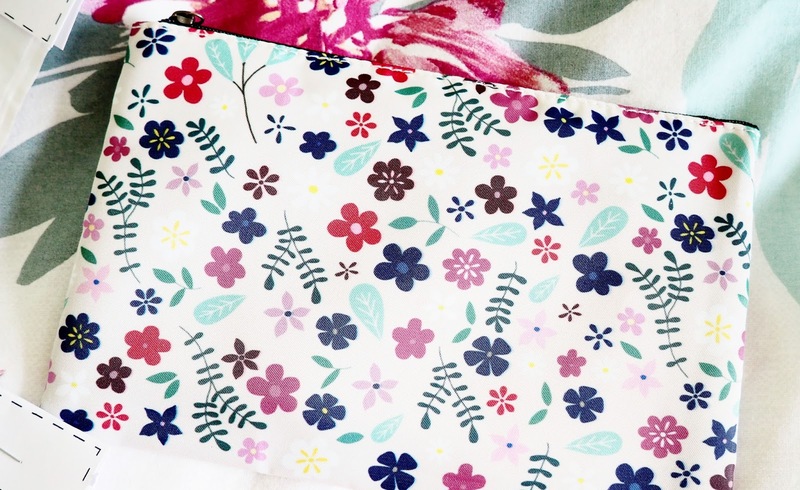 The little floral make up bag is probably my favourite product in this box! It is lovely (again I love the floral print) but I know that this is going to be super handy! It is a nice size, not too big, but not too small. I think it will be a good little bag to take with you on a weekend away. It also has a little zip pocket inside in case you want to keep anything safe like your rings or something! 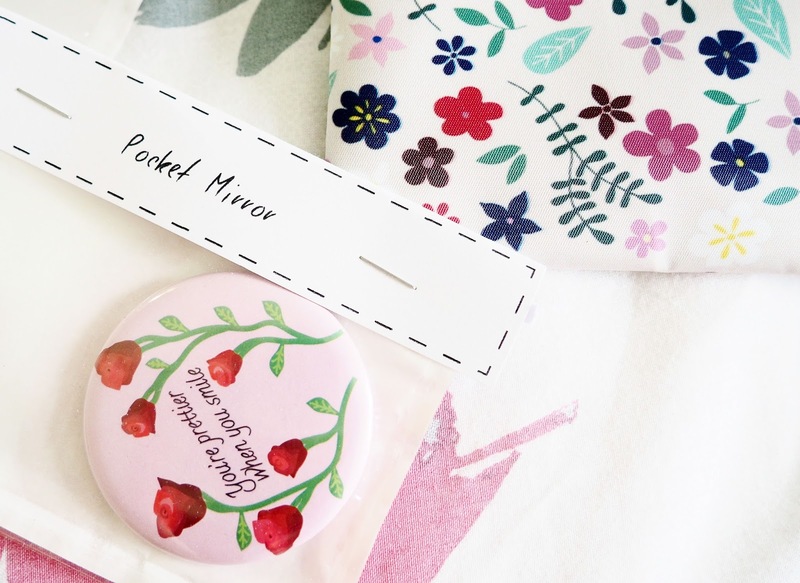 Next is the cute little pocket mirror, because let’s face it, it is ALWAYS handy to have a little mirror with you when you are out and about. I particularly need a mirror to check that my lipstick hasn’t smudged all over my face because this pretty much happens to me everyday. Eating food with lipstick on is CHAOS. Plus how lovely is the positive message on this one? Finally. HOW CUTE IS THIS NECKLACE? The products for the boxes are randomly selected…. but I have a feeling that Chlo picked this out for me… don’t you? BERRIES!!!!!!!! This adorable necklace is from Kitty’s Kitschenette, which is a super AFFORDABLE little ‘geek chic’ hand made store! I am going to wear this necklace to all future blogging events to maybe give a little helping hand in case people don’t recognise me, ahh I love cocktails so it is me all over! PLUS it’s only £3!! OH LOOK. Felix came to play again! He totally RUINED my set up, so it was a good job I was happy with the photos I had already taken! At least he’s happy. 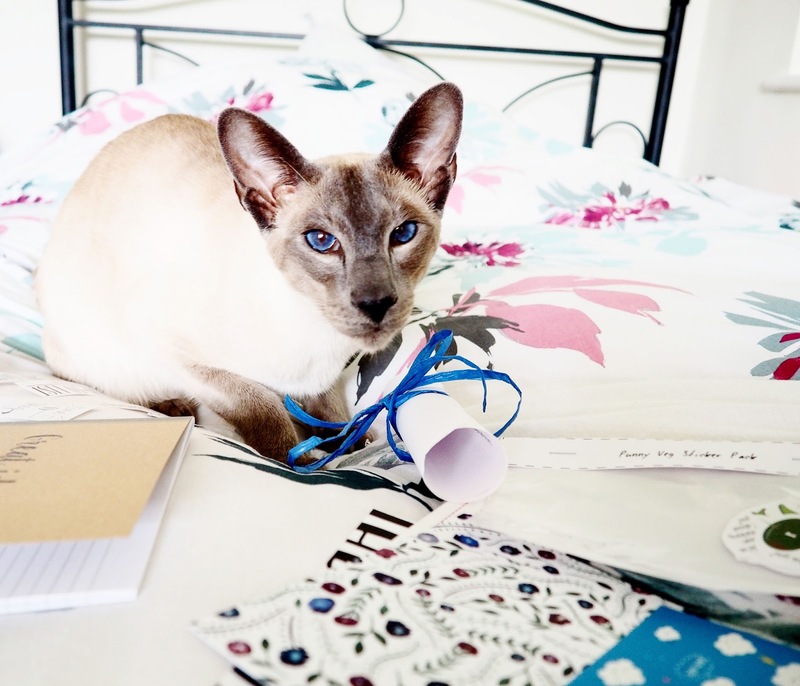 Give a cat a piece of string and he will love you for days, so thanks for that Chlo and Charlie – Felix is a happy kitty! Hope you enjoyed this post lovelies! Do go check out the That Lame Company website if any of these products catch your eye. They have lots of different prints available for the above products and they also do lovely phone cases too! I also know that they are working their little butts off making new content and designs, so keep a beady eye out!! This is a fabulous idea, I'm going to have to order one myself I friggin' love stationary! 😀 I especially like the look of the blog stickers! This looks so cute! I've been really into subscription boxes, so I'll have to try this one out at some point. This is amazing!! I really need to check out their website!! 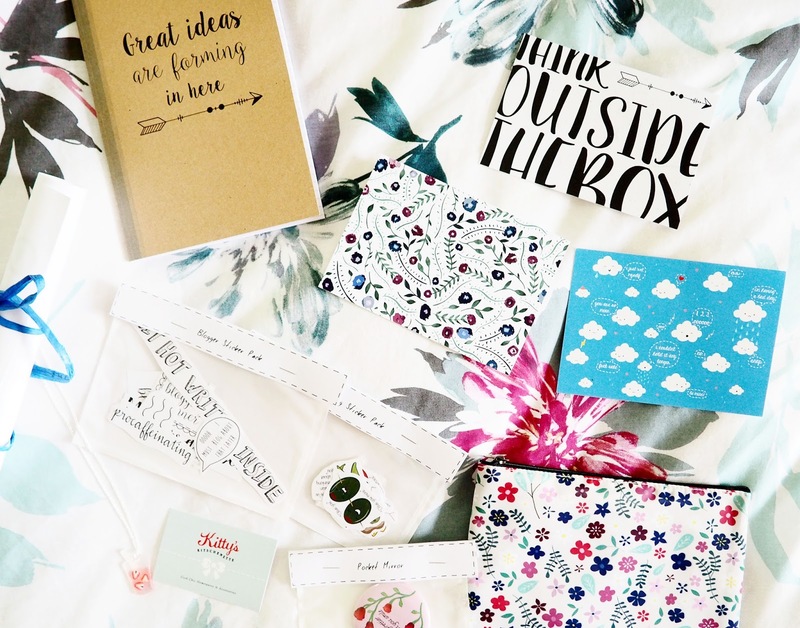 Oh my goodness this is like a bloggers box of dreams! Definitely need to check these guys out – so much pretty stuff! This is such a cute post! And the box looks amazing! Wow I love this. It's so creative and such a great surprise what's inside. My mother in law would love this!!! Everything is so cute 🙂 Nothing lame about it! I literally love everything that you've got in that box, it's amazing, I definitely think I am going to need to invest in this! 2) Your photos are absolutely beautiful – so bright and vibrant! 4) The box's contents look fabulous – it looks so fun and something which could make a great gift so thanks for sharing it with us! (I may even treat myself hehe I mean.. THOSE STICKERS THOUGH). 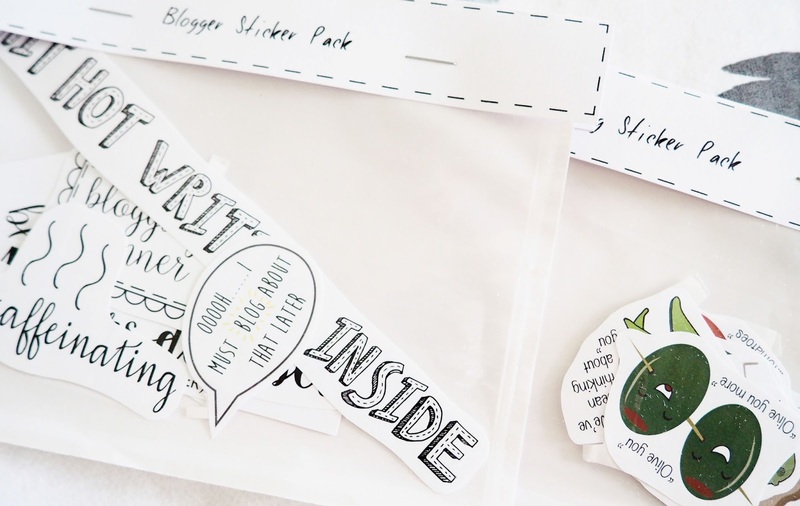 I need to buy the blogger sticker pack! I've had my eye on them for the past week or so now!! Did not know about this until now, but it looks amazing! I wish they still had it in stock or a new version of it.